The growth of coworking has hit the shores of Australia with a ‘bang’. During the past 5 years coworking has morphed from a stale old building filled with IT freelancers and start-ups to a thriving community with everyone from ‘home-business mums’ to multinational corporations. In the United States, corperate giants from all industries have flocked to shared spaces. The likes of HSBC, Microsoft, GE, Dell, Salesforce and Deutsche Bank (CNBC) have all joined the coworking revolution. Closer to home, big banks ANZ and Bendigo Bank have set up satellite offices mixing with the likes of O’Brien Real Estate and Roll’d. Why have these large companies moved away from the traditional corporate office space? Coworking is Clever – Whether you’re a bank or a food franchise, you are bound to discover clients just through networking at the water cooler. Creative Coworking – Surrounding your employees with passionate entrepreneurs and start-up companies can foster a fantastic opportunity to collaborate and give rise to innovative ideas and concepts. Fresh perspectives can clear out the cob-webs of large bureaucratic organisations. Coworking is Flexible to Changes – As a large organisation, do you worry about the next GFC? Before you make the investment to employ full time employees to run a business function, why wouldn’t you outsource the function first to ensure that it fits your organisation? You are bound to find a business to outsource to while operating in a coworking space. Coworking is Cost Effective – Reduce your fixed operating expenses with a serviced office space. Service fees are reduced as essential facilities such as kitchens, bathrooms, electricity and water are communal. Sharing the cost over a larger number of people will reduce your overhead costs. Simply enquire with your coworking space about their cost comparisons when considering the difference between commercial office space and coworking. Coworking is Collaborative – Do you ever come up against a sticky situation or technical problem that no one in your business knows how to overcome? If Google isn’t giving you the answer, ask around in the office! Collaboration is key within these environments. Major objections such as privacy of sensitive information plays a large part in the world of coworking spaces. Particularly for large corporations. Not a problem, that’s what private office spaces are for! Private Office Spaces allow a business to house the sensitive information of their business behind locked doors, but with the flexibility to walk out of their office space into a shared coworking space, can you really go wrong with this? Not really. What have you got left? Desks? Unless your employees are giants, you won’t need a whole floor. 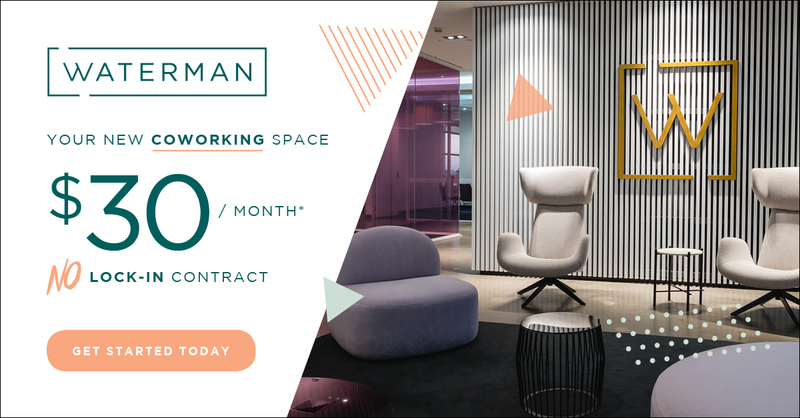 Enquire as to what spaces your coworking space has available for your company size. The growth of coworking has only just begun in Australia, there is a growing trend towards large and medium companies leaving their stuffy 4 walls to join an innovative coworking space. Will your company be the next to join the revolution? And to join the growing trend of small businesses using world-class tools to run their businesses, download our guide to the Top 10 Free Tools for Entreprenuers.